"What's in Your Crawl Space???" Crawl spaces are a major source of moisture infiltration that permeates up into living areas, emits odors and saturates structures. The crawl space environment is conducive to mold growth, structural wood rot and infestation. Foundation vents are inadequate sources of ventilation and do not mechanically expel moisture to keep the area dry and free of odors. Additionally, the passive intrusion of seasonally hot, humid air via the vents and other openings into a cool crawl space environment can create substantial moisture problems and lead to potentially costly repairs. Depending on the soil, climate, home construction, grading of the land, drainage, etc., homes can be rapidly exposed to crawl space moisture and mold contamination. With over 40% of the home's interior air coming from the crawl space, it is important to keep the humidity in these areas within acceptable limits. A typical 1000 sq ft crawlspace can produce as much as 10 gallons of moisture every day, rising into the home and potentially causing a host of issues while also making your HVAC work harder and consume more electricity. We will evaluate the cavity for moisture intrusions, have our mold specialists identify and properly eliminate existing growth, and install the appropriate crawl space treatment for your unique set of circumstances, from sealing the vents and replacing the vapor barrier, to new insulation, up to and including a full encapsulation should your situation require it. 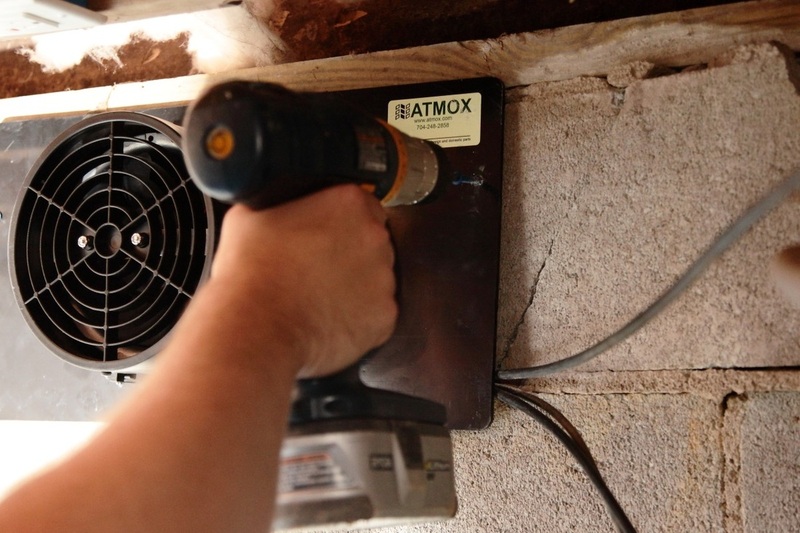 To complete the job and preserve a drier and healthier environment we will typically suggest an ATMOX system as a long-term, intelligent and highly energy-efficient means of controlling crawl space moisture while providing healthy fresh air exchanges. We also carry a great line of Santa Fe and Aprilaire Dehumidifiers that can work standalone or - for the most comprehensive moisture control solution available - as a secondary drying component of an ATMOX configuration. Again, each home is different, and we only recommend the solutions that best fit your particular situation. An independent study confirms that sealed crawl spaces in the humid southeast region of the US significantly outperform open vented crawl spaces in terms of moisture resistance, susceptibility to mold contamination, and whole home energy efficiency. Note that when you seal your crawl space a mechanical means of moisture control such as an ATMOX system and/or a dehumidifier must be incorporated into the closed environment. 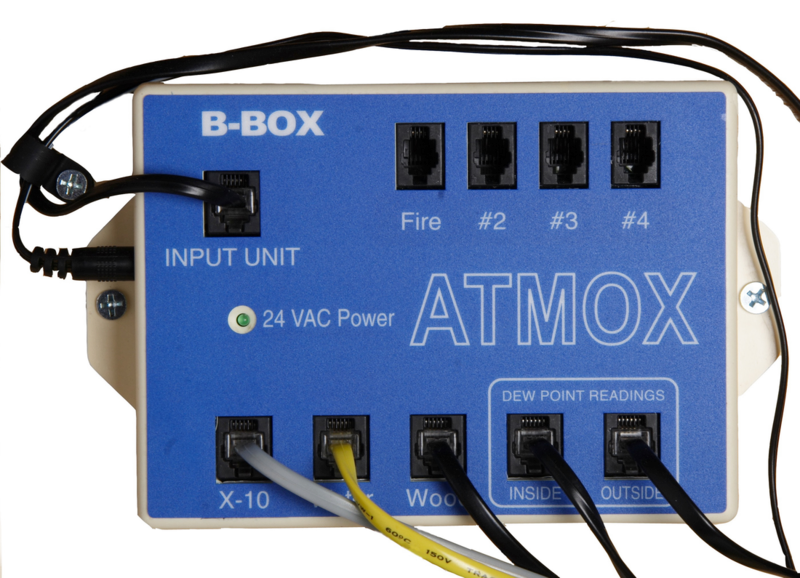 Our ATMOX Solutions are designed specifically for homes with crawl spaces and reduce the humidity and musty odors in these problematic areas through extremely energy-efficient intelligently controlled ventilation. Most companies in this business rely on dehumidifiers as the sole crawl space drying mechanism, figuring that what the consumer doesn't know won't hurt them until the job is long over and done. And what the typical consumer does not know is that dehumidifiers by themselves: 1) are extremely costly to operate, 2) are not maintenance-free, 3) do not promote healthy indoor air quality because they constantly recycle the same air over and over again with no fresh exchanges, and 4) are not compliant with building code as a primary means of treating a sealed crawl space. Having said that, dehumidifiers when properly deployed can be helpful to the overall cause. With the highly adaptable ATMOX configuration we have the flexibility to incorporate a dehumidifier as a secondary drying source, but only in those cases where a particular crawl space requires additional measures to address extreme moisture problems. 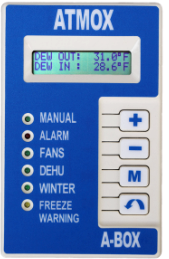 All our fully automatic ATMOX systems include a computer/controller, indoor and outdoor climate sensors, low voltage DC transformer and extremely quiet, energy-efficient, powerful intake and exhaust fans that are activated by the computer/controller to super-ventilate the crawl space when weather conditions are beneficial and seal it off from outside air when they are not. 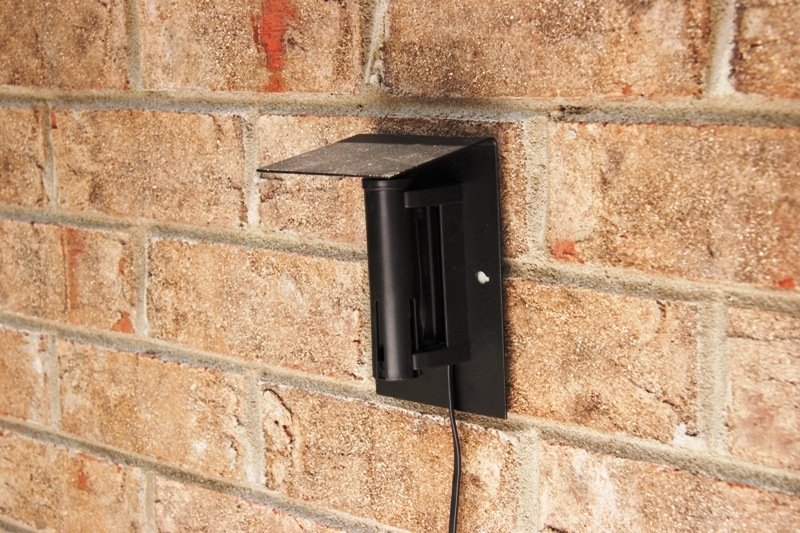 Additional options include "dead space" fans for those nooks and crannies that are outside the main flow of the crawl space, a wood moisture sensor that continuously feeds critical wood moisture readings to the computer/controller, a water sensor that alerts the homeowner to a water intrusion or sump pump failure, and a dehumidifier relay that enables the computer/controller to switch on an optional dehumidifier as a secondary source when necessary. 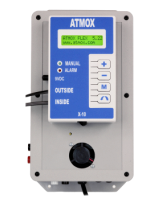 After conducting extensive and exhaustive research and trying various other options, we can confidently claim that our ATMOX systems are the best and most effective crawl space moisture management solution available to you. Contact us today and let us show you why we stand so firmly behind this statement. Please click HERE to download an informational brochure on Coastal Dry Home's ATMOX Crawl Space Solutions. 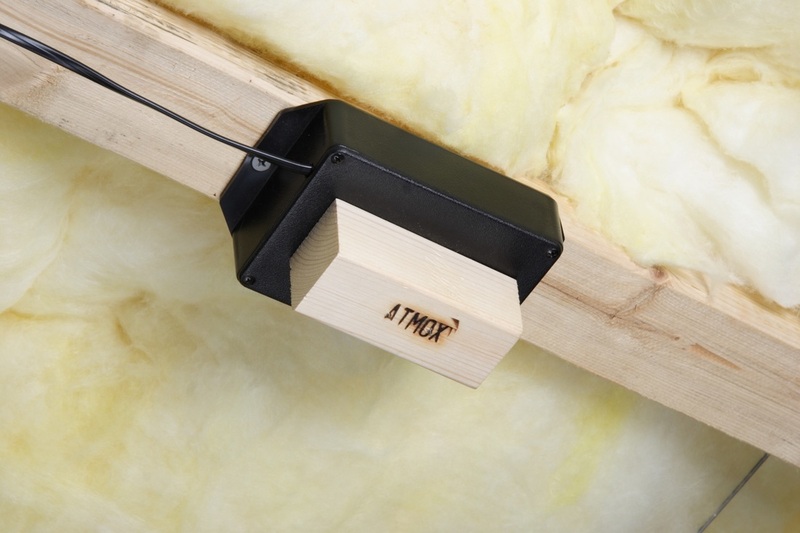 Note: Coastal Dry Home's atmox solutions are in lock-step with the documented methods adopted by the US Department of Energy, the US Environmental Protection Agency and International Residential Code for addressing crawl space moisture. NOT A SINGLE ONE OF THESE AUTHORITIES MAKES ANY MENTION OF DEHUMIDIFIERS AS AN APPROVED, EFFECTIVE OR code-COMPLIANT primary MEANS for treating CRAWL SPACEs, yet most companies deploy them anyway without regard for the long-term consequences! Please CLICK HERE for more info. 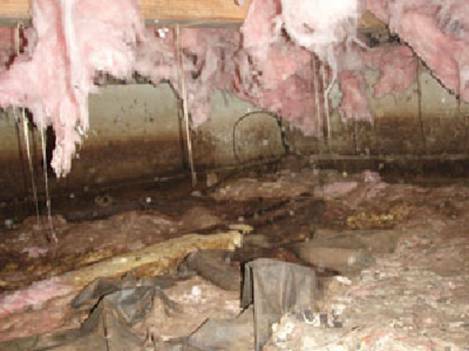 Why is Your Crawl Space So Damp? Should You Seal Your Crawl Space? Can You Close Your Crawl Space?